Displaying information in concise tables is an effective way to break down data and make it easily accessible to your audience. Tables can help show comparisons between products or services, or present important statistics in a clear and readable layout. But how do you actually add tables in WordPress? Unless you know how to code, installing a WordPress table plugin is the best way to create and display tables on your website. In this article, you’ll learn how to use the TablePress plugin. We discuss its features and then provide step by step instructions on how to set TablePress up on your site. By the end of this article, you will be able to confidently add tables in WordPress using TablePress. 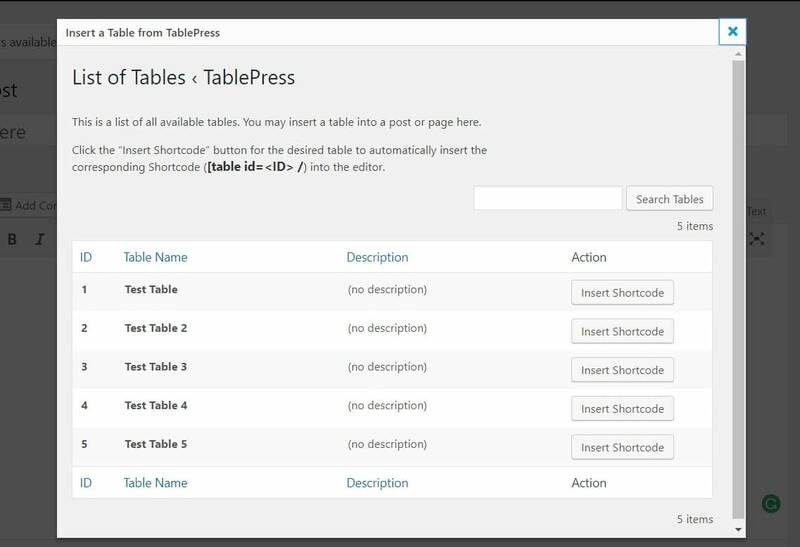 TablePress is a free plugin that makes it easy to add tables in WordPress without the need for code. Instead, you’ll use an Excel-like interface to create and manage your tables. Intuitive interface with drag and drop functionality. 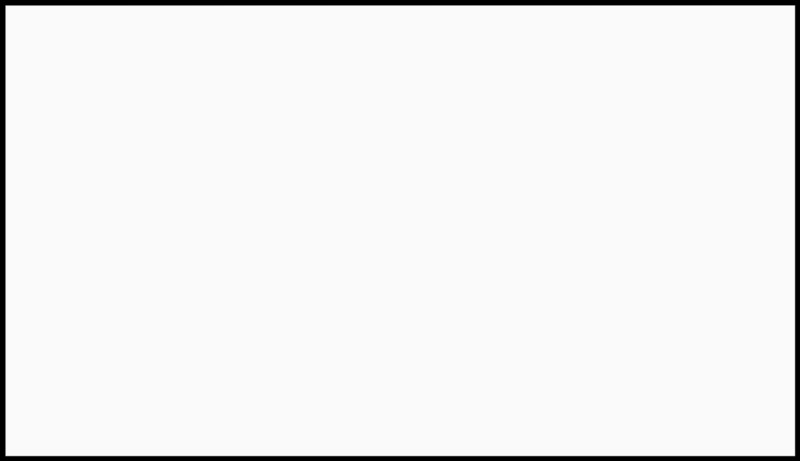 Embed tables into any post, page or text widget using a pre-generated Shortcode. Easily edit tables without needing to touch a line of code. Add features, like sorting and filtering, to make your tables relevant to your audience. Export or import tables from Excel, CSV, HTML, and JSON files. TablePress is actually what we use to create tables at ThemeIsle. To see it in action, you can take a look at these examples where we have used tables to compare live chat plugins and Elementor add-ons. In fact, here’s a live table from one of those plugins. Notice how you can click on the columns to sort the whole table. 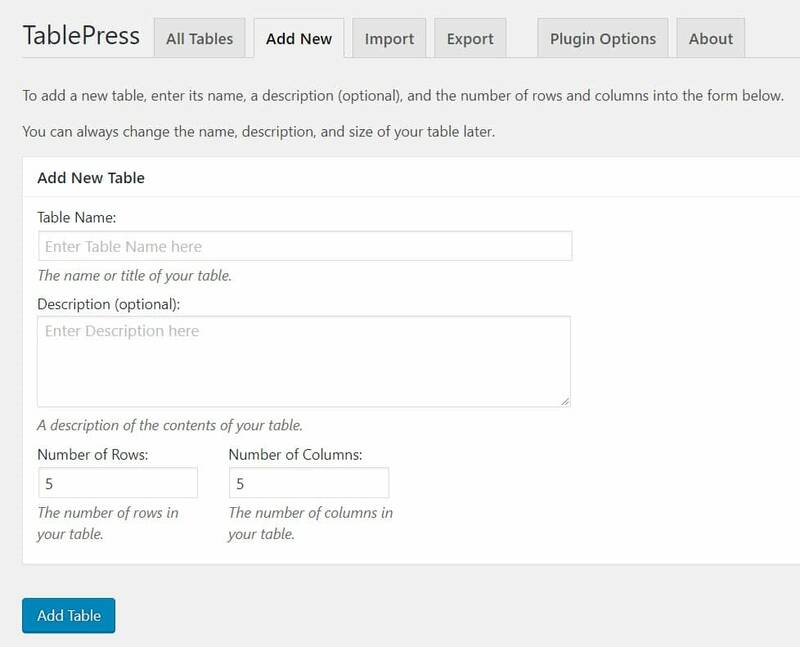 TablePress is a free WordPress plugin that can be found in the WordPress official repository. To set up TablePress, you first need to install the plugin. 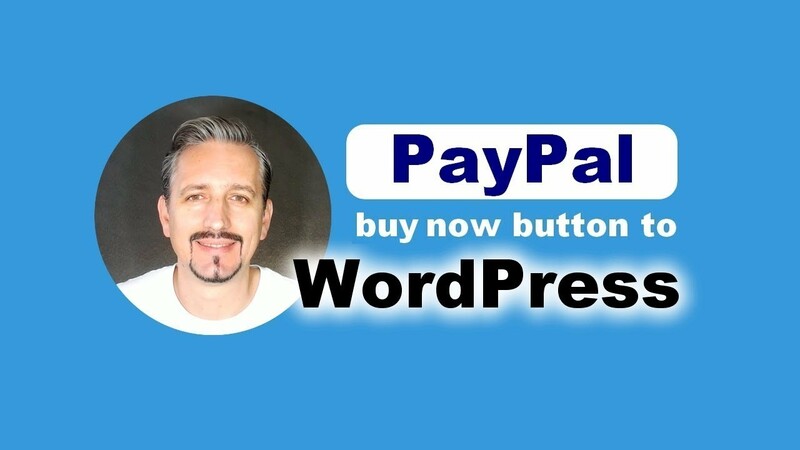 If you are unsure on how to do this, read our guide on how to install a WordPress plugin here. Once you have installed and activated TablePress, you’ll have a new TablePress section in your WordPress dashboard sidebar. To add a new table to your WordPress website, first select Add Table from the tabs along the top of the TablePress interface. Then click on Add Table at the bottom of the page. You will now to taken to the Edit Table screen where you can edit your table. The Edit Table page provides opportunities to edit the content and structure of your new table. Options include inserting text, images or links, changing the table’s features, as well as deleting, moving and hiding columns and rows. Scroll down the page to Table Content. Here you can add content by typing directly into the table. You can also easily rearrange your table by dragging and dropping columns and rows. You will now be taken to your WordPress Media Library. 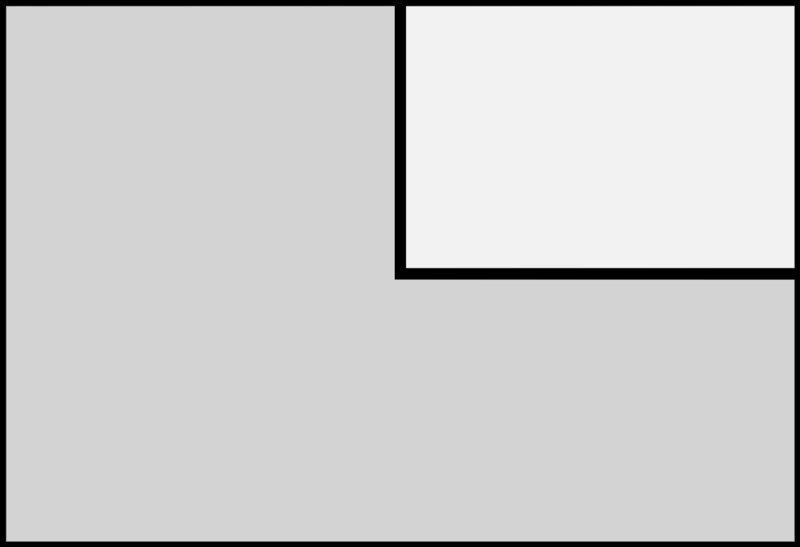 Choose the image you want to insert into your table or upload a new image. Then click on Insert into Table. 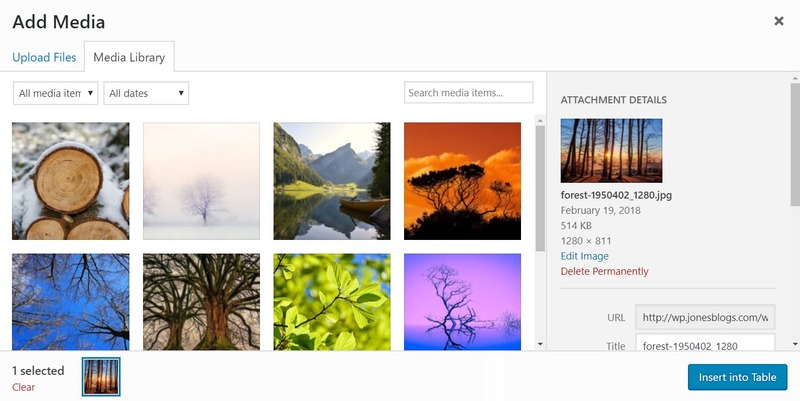 To check out how your new image looks, select the Preview button at the top of the page. You can also insert links into your table. To do so, click on Insert Link in the Table Manipulation section. Then, click into the box in the table above where you want the link to appear. Once you have finished, select Add Link. You will now find the link has been inserted into your table. TablePress allows you to easily alter the structure of a table. 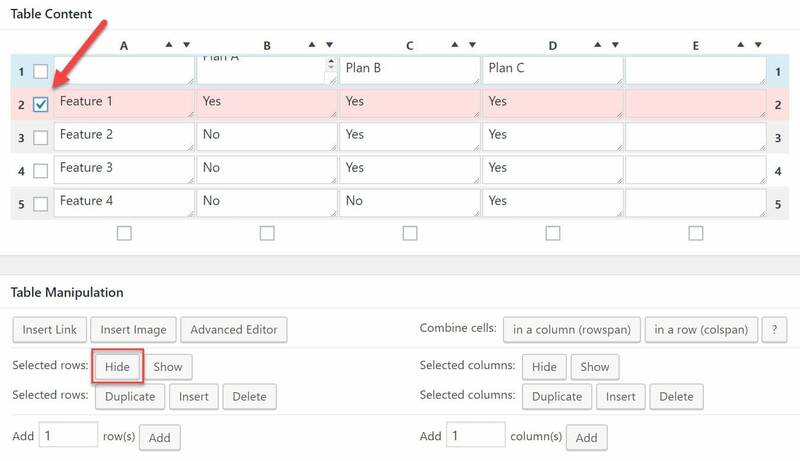 Under Table Manipulation, you will find a variety of options that enable you to combine cells, hide or add rows, as well as duplicate, insert and delete rows. To modify your table, simply click on the row you want to alter. Then select the appropriate effect, for example, below we have chosen to Hide Selected Rows. Once you are happy with the edits you have made to your table, select Save Changes at the bottom of the page. 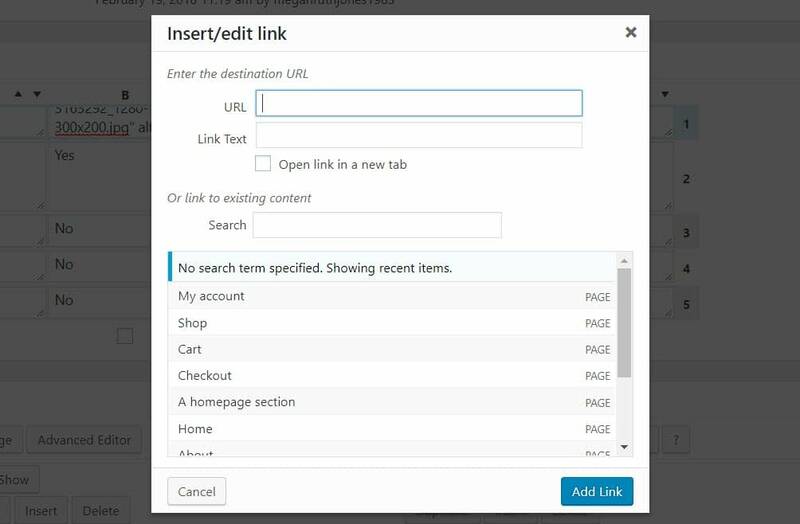 If at any time you want to re-edit any of the tables you have created, select TablePress > All Tables from your WordPress menu. You can now select the appropriate table that you would like to edit. After you have created your table, all that is left to do is to insert it into a page or a post on your website. To do that, open an existing or new page or post where you would like to display a table. Then select the TablePress Icon from the Editor toolbar. Choose the table you want to insert into the post and click on the corresponding Insert Shortcode button. You will now find the shortcode for the table you selected has been inserted into the content area of the post Editor. Click Preview and, if you are happy with the table, go ahead and save the page. While we’ve given you a solid introduction to the core principles above, one of the reasons that TablePress is so popular is because of how flexible it is. Automatically import and sync a Google Sheets table with TablePress – this is helpful for large data sets. Use formulas in cells – just like Microsoft Excel. TablePress CSS Styling FAQ – these explain how you can use CSS to change how your table looks. Responsive Tables – make sure your tables look great on all devices. Row Filtering – allow your audience to filter the content displayed. Table Row Order – display table rows in random, reversed or sorted order each time. Although the extensions are free, some Premium extensions do ask for a donation. 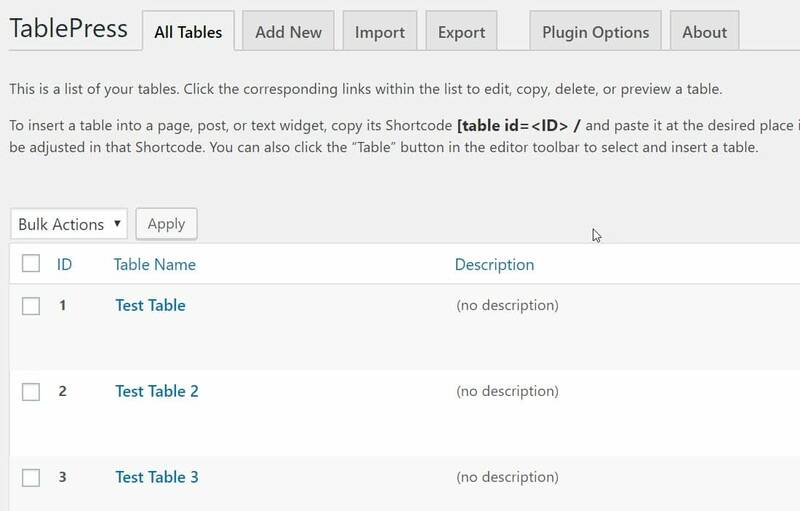 As you can see, if you are looking to add tables in WordPress, the TablePress plugin is a great option. With it, you can quickly create professional and stylish tables that will help display important data and information to your audience in easy-to-read layouts. And with numerous customization settings, TablePress will enable you to design tables to your exact specifications. 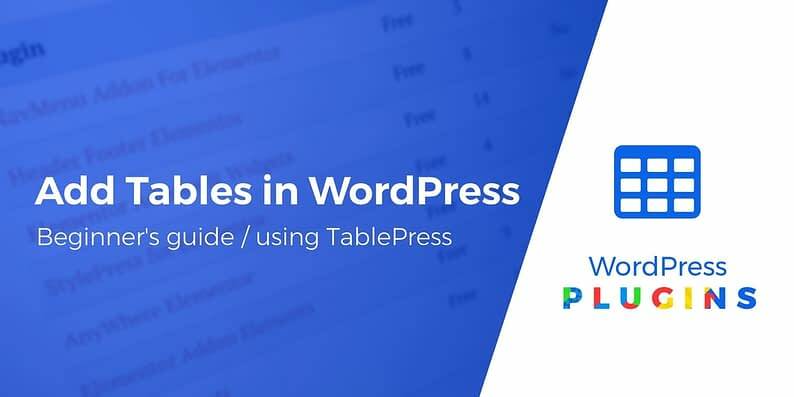 Have you used TablePress to add tables in WordPress? Please share your thoughts on the plugin in the comments below.